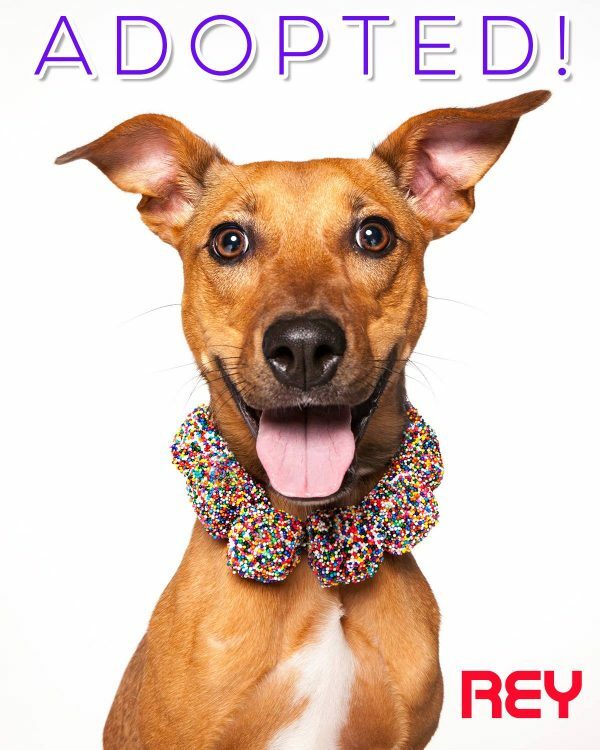 Robyn Arouty is a Houston-based photographer who’s all about using her art to get dogs adopted. She does this through Pocketshots, her pet portrait sessions from which she donates a portion of each sitting fee to local rescue groups. 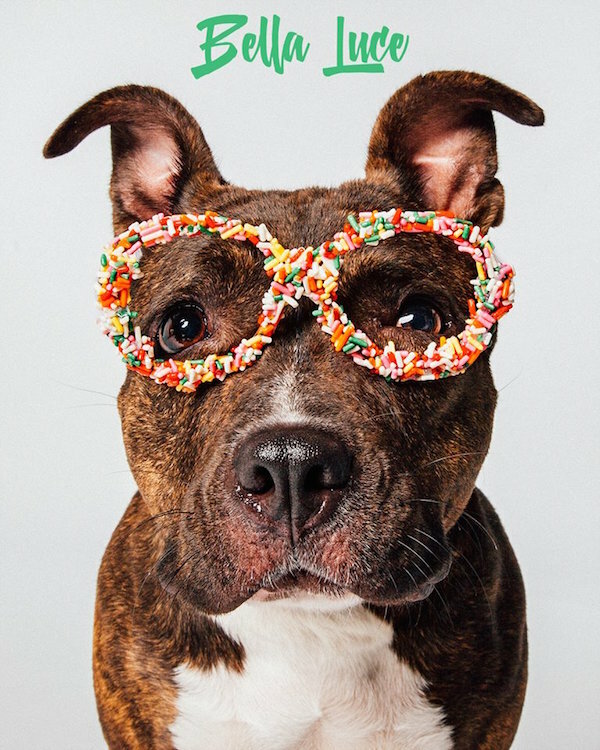 She also fills any open Pocketshots appointments on a given day with foster dogs; her clients sponsor their sitting fees, and their rescue gets the slick adopt-me photos to use, free of charge. 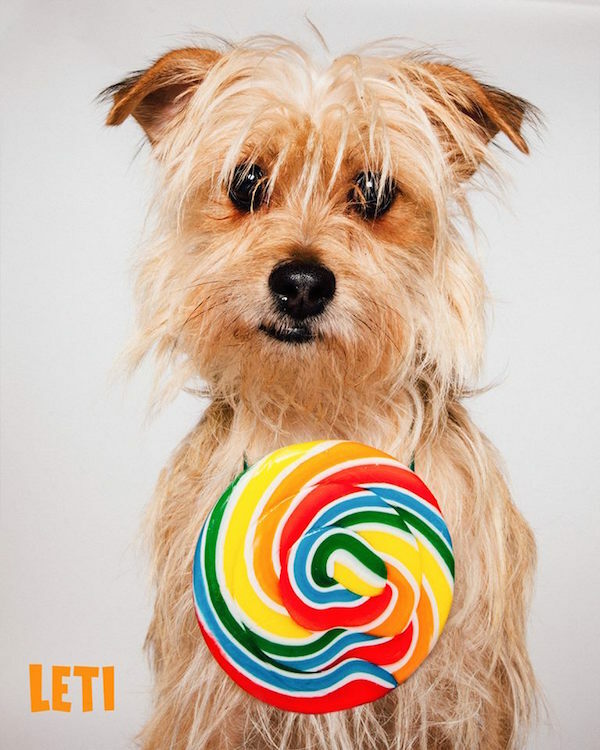 Recently, Robyn took her Pocketshots foster shoots a step further by adding candy-based props. 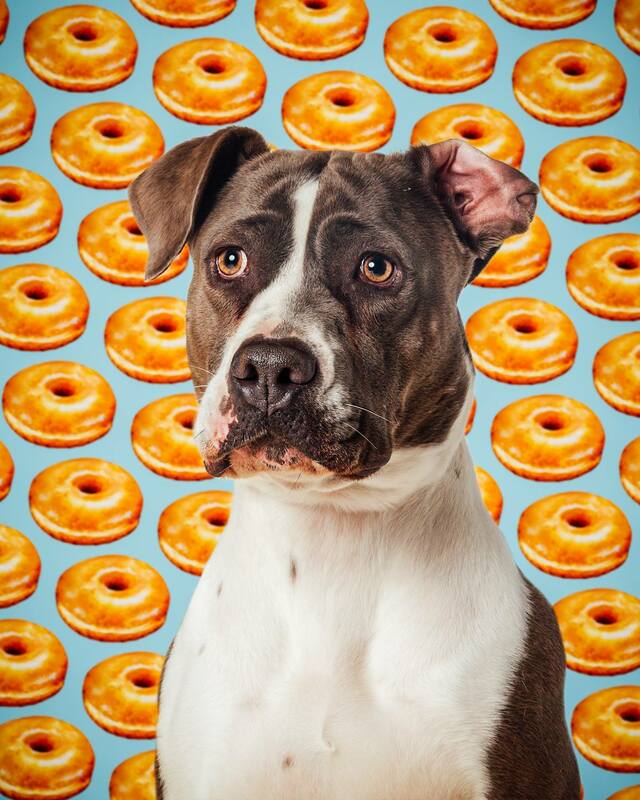 We talked to the photographer about this new project, which calls Sweet Dogs. Image via Robyn Arouty Facebook. “They are freaking out about the response and the number of inquiries they’re getting about the dogs in these photos,” Robyn says of Pup Squad Animal Rescue, who provided the first batch of foster dogs photographed for the project. “These are dogs who sat there for the longest time, not getting attention, and now two have been adopted and three are on sleepovers. The rescue is just over the moon.” Rey, above, is one of the pups now with a forever family, and Ginger S., also above, is currently away on a home visit. 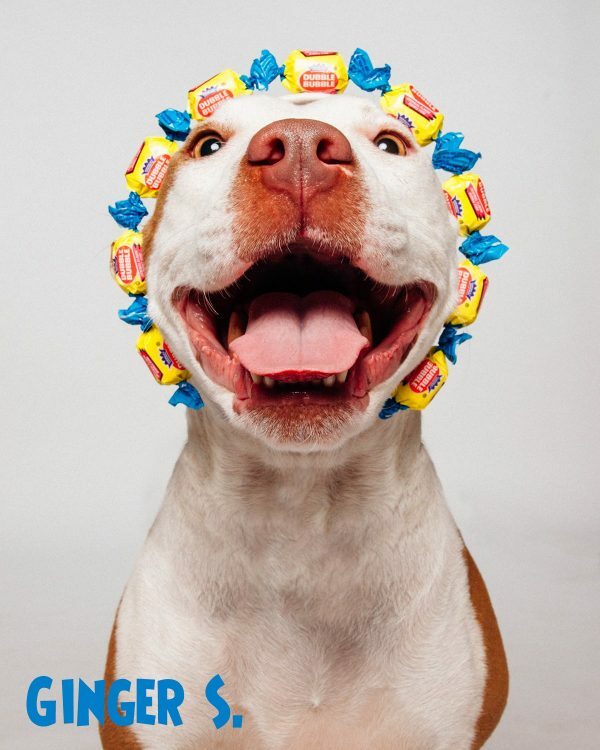 Now comes the question you’ve all been wondering: Did any of the dogs ever attempt to chow down on their candy props? Apparently not! 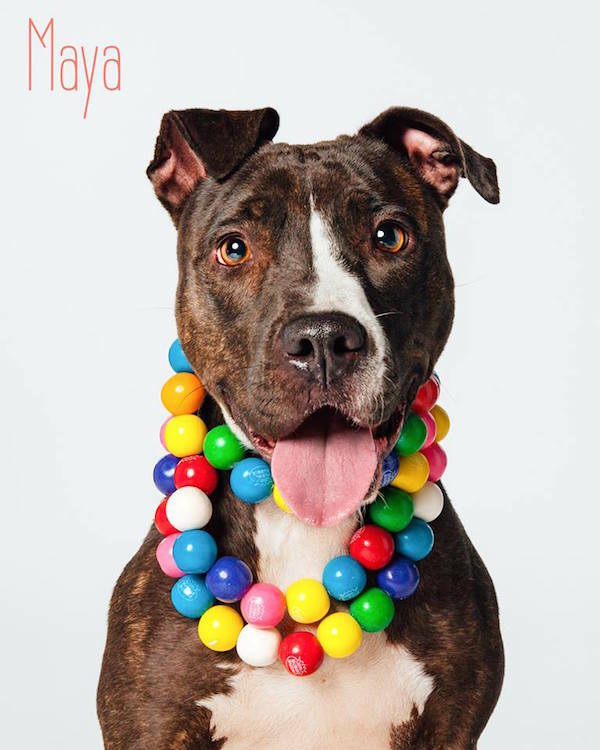 Once Robyn’s stash of candy has been exhausted, she plans to continue a similar project with Kelly Gilleran; it uses the artist’s food art collages as backdrops for her photos of adoptable dogs. Lettie, the model above, is still available through Jamie’s Animal Rescue. “I’m a big fan of her work and thought it would be a great collaboration!” she enthuses. You can check out more of Robyn’s eye-candy over at her Facebook page. And if the photographer’s name sounds familiar, it should; she wrote and photographed the viral sensation “I Died Today. 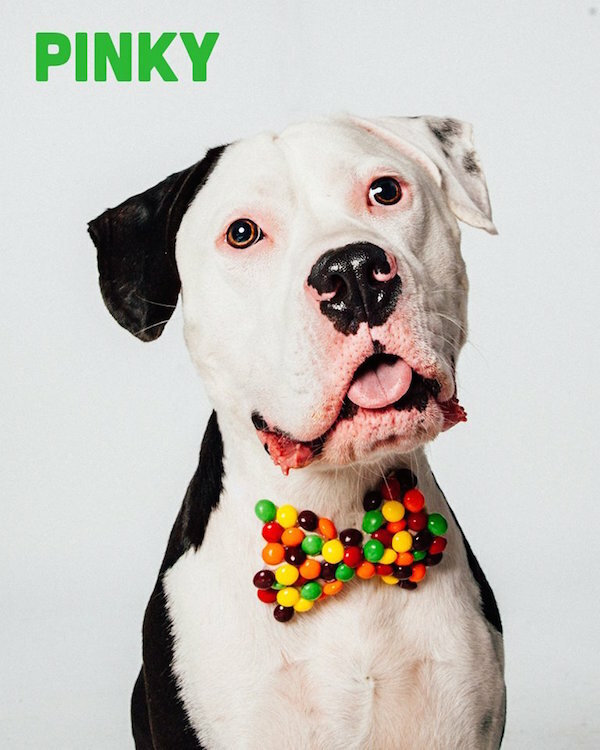 By Duke Roberts” in 2014 and just last year shared the touching story of Addy, a Boxer with an inoperable cranial tumor who had just days to live. 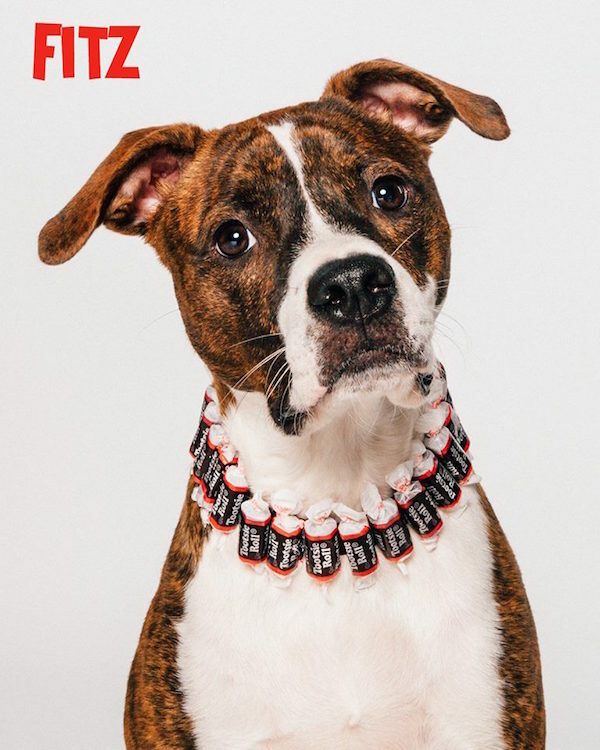 The Sweet Dogs models are going fast, but you can inquire about their availability with Pup Squad Animal Rescue. Also, be sure to share this video to boost their adoption chances even more! 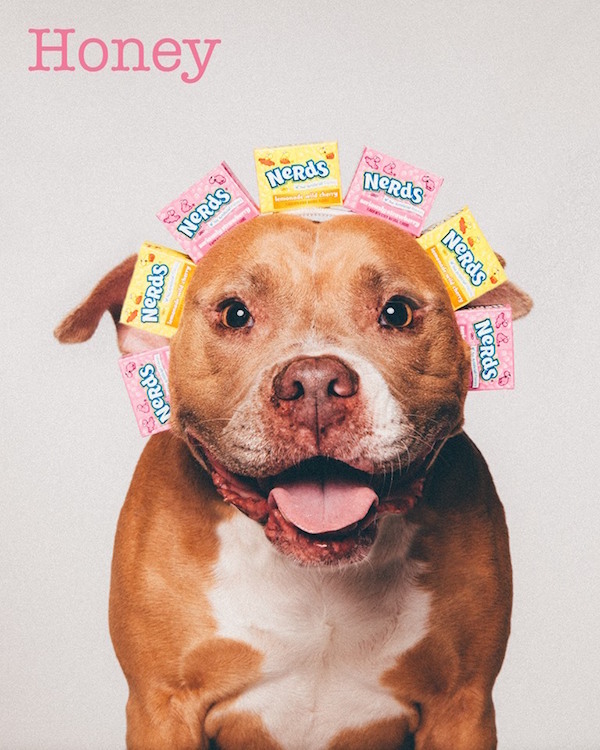 The post We Have a Candy Crush on Robyn Arouty’s Sweet Dog Photo Series appeared first on Dogster.